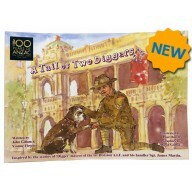 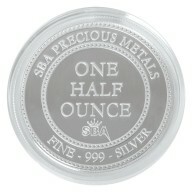 1/2 oz coin-like vibrant coloured Digger 999 fine silver bullion and 'A Tail of Two Diggers' book, telling the story of Digger. 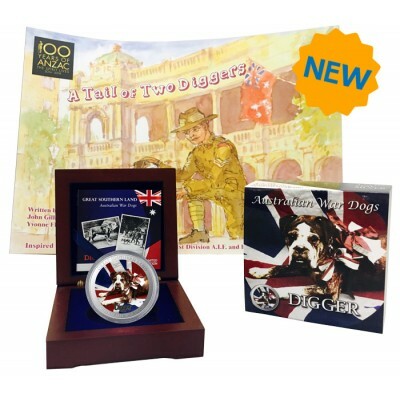 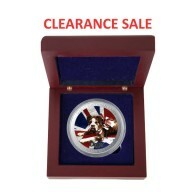 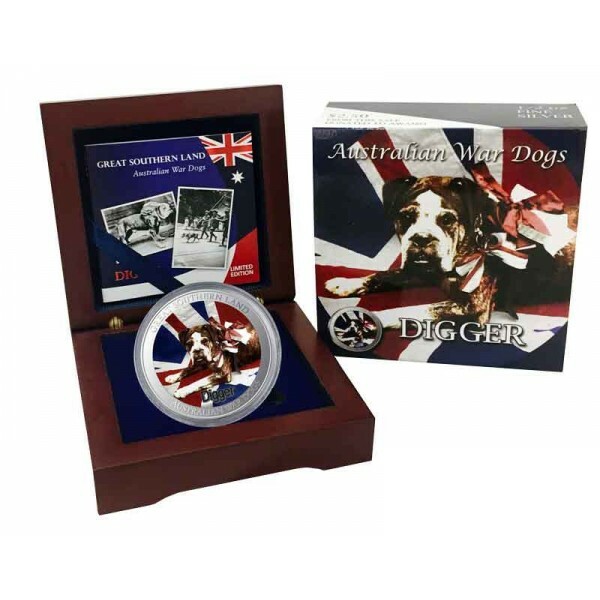 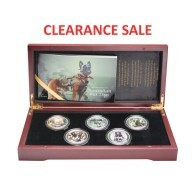 This is a limited mintage of 2,000 only, in wood-look box, complete with miniature booklet and certificate of authenticity. 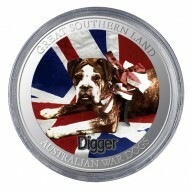 Digger, a stray brindle bulldog, became a hero when he joined soldiers on their journey from Australia in WW1. From every Australian collectables 'Digger' single coin-like bullion sold, $2.50 will be donated to the not for profit group, the Australian War Animal Memorial Organisation (AWAMO). 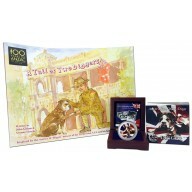 Please see our 'We Support' page for further information.